Properly investigating possible website concepts is the key to building a successful website. The various HQs: "Traffic," "Tips 'n Techniques," "Resources," "Monetization" and several others keep you on the cutting edge of all that you need to know. No other "outside reading" is necessary except for info related to your own business, of course. There are membership sites that charge hundreds - even thousands of dollars for this type of invaluable information. Content 2.0 allows your site's visitors to create content for you. Turn any page on your site into an invitation for your visitors to add content. C2 then allows other visitors to comment and rate the page much like on a blog. This means your site will have more Search Engine attractive pages. Having more site pages means the Search Engines will rank your pages higher and that leads to more traffic. A chain of events that simply started through the contributions of your visitors! Infin It! enables you to plug third party resources into your SBI! site. You can add forums, shopping carts, datafeeds, blogs and other server-side functionality. Infin It! brings you an SBI! site with no limits. The SBI! 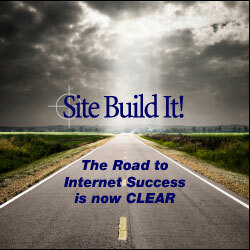 private forums provide friendly, helpful support from other Site Build It! users. Help is available from folks who are in the same place as you. This peer-to-peer support gets you over the humps along the way in a stress-free environment. Help is available even for advanced questions. The forums are a business-building support community ready to help you succeed. The SBIX! weekly newsletter brings you the latest news from SiteSell and around the Web, highlighting only what you "need to know," and saves you time. You won't have to worry about keeping up with the latest online marketing developments. You'll stay informed but not bogged down so you'll be able to continue focusing on your business. It's definitely not GRQ (GetRichQuick) and keeps you from getting distracted by false promises or dead-end tools and strategies that end up costing more money. Experienced users will appreciate avoiding time-wasters that don't help you succeed. Think of it as a simple, direct, hype-free path that leads to success. In addition to these Advanced Website Building Benefits, there are many more to explore if you watch some of these videos. Here are the core SBI Features.